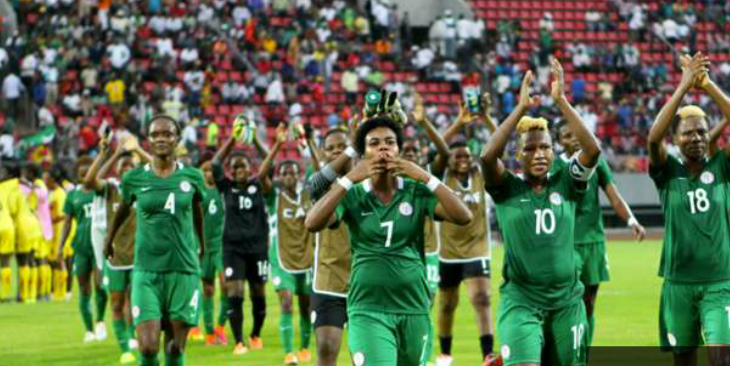 AWCON2016: Nigeria's Super Falcons beat South Africa 1 - 0 to qualify for final. Congratulations to Nigeria women's football team as they qualified for the final of the African Women’s Championship in successful style as Desire Oparanozie’s free-kick at the 53rd minutes handed them a 1-0 win over South Africa in Limbe. Banyana Bayana put up a great fight in the first half but were unable to break down Florence Omagbemi’s ladies as they missed clear-cut chances. On resumption of the second half, the Super Falcons woke from their slumber and took the lead nine minutes on restart. South Africa will face Ghana in the third place on Friday, while Nigeria battle for the top prize against hosts Cameroon in the final billed for Saturday at the Stade Ahmadou Ahidjo, Yaoundé.